Fort Randall is something you should read. Construction of Fort Randall Military Post began in 1856. The site was selected General William S. Harney and named after Daniel Randall, a career Army officer. 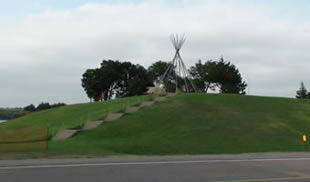 Prior to this time, possibly the 1400s-1700s, the area was inhabited by the Mandan and Arikara Indians who were then forced north by the Sioux or Lakota. Meriwether Lewis and William Clark (Lewis and Clark) passed the area in early 1800. 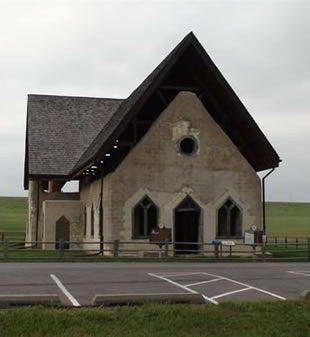 Fort Randall Chapel was built in 1875 and served as both a church and a meeting hall. It was not a military structure and was built by volunteers with donated funds and local materials with the hope of reducing alcoholism while providing some social and spiritual influence. The Fort itself was abandoned in 1892. The church remained in pretty good condition until 1896 when it was struck by lightning. The church began to deteriorate after that point. In 2003 efforts were made to protect the church from further deterioration. A self-interpretive trail has also been added to the site. 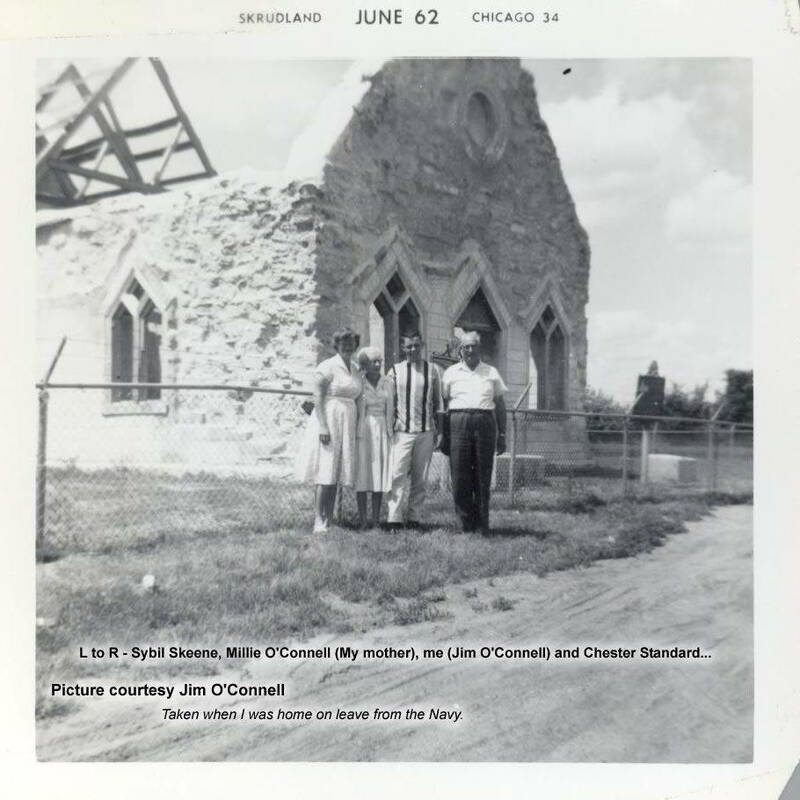 Compare the photo above to the 1962 photo submitted by Jim O'Connell. You can see the protective roof. Fort Randall Visitor Center is located on the west edge of Pickstown, South Dakota, along U.S. Highway 281 and 18. This is a great place to view Lake Francis Case, Fort Randall Dam, and the Missouri River. Inside the center displays describe the history of the dam and the area. Fort Randall Dam & Powerplant was constructed between 1946 and 1956. It serves as a hydroelectric power plant and flood control. In 2011 flooding along the Missouri River in South Dakota reached historic levels. It's probably safe to say that the dam system reduced damage, however many areas were affected. Despite tremendous efforts to berm and sandbag, many homes and businesses could not be protected.